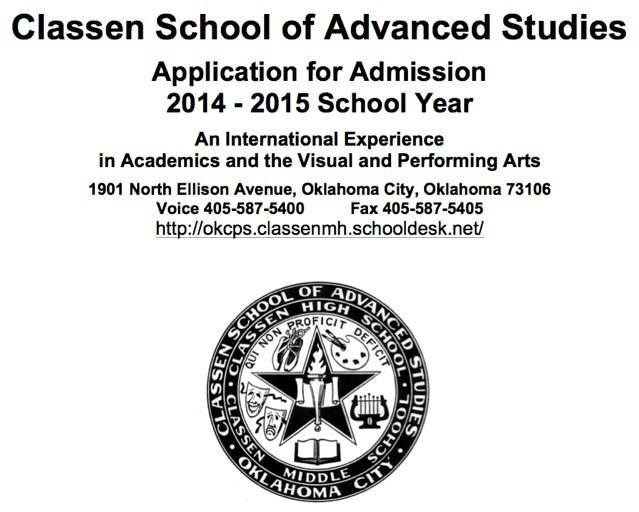 Each year Classen SAS administration reviews between 200-400 enrollment applications. Students are only allowed to apply for one major and cannot reapply in a new major during the current application period. Current CSAS students wishing to change majors can only apply during the regular application period. The total number of accepted students is based on enrollment limits set by the district and CSAS administration. This application is to be completed by incoming sixth grade applicants who are currently enrolled or residing within the OKCPS district and current CSAS students who wish to change majors. Other applicants, grades 7-10, may complete this application but will be considered only on “specific program need” basis for the 2014-2015 school year and must be able to fulfill program requirements. On July 29th when and what are we supposed to do at camp comet ?